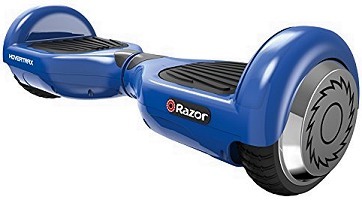 Warning: The parts on this page are only for the Razor Hovertrax 1.0 self balancing scooter and not for the Razor Hovertrax 2.0 self balancing scooter. We have parts available on a different page for the Razor Hovertrax 2.0. Battery for Razor® Hovertrax 1.0 self balancing electric scooter. Solid rubber tire for Razor® Hovertrax 1.0 self balancing electric scooter. Set of two motorized wheels for Razor® Hovertrax 1.0 self balancing electric scooter with 6.5" wheels. Includes one left side and one right side motor wheel. Self balancing scooter motor wheels should always be replaced in pairs to avoid uneven acceleration and unsafe handling. 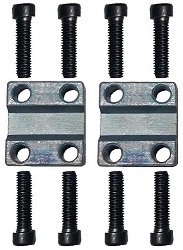 Set of two axle clamps with eight bolts for Razor® Hovertrax 1.0 self balancing electric scooter with 6.5" wheels. Chassis frame for Razor® Hovertrax 1.0 self balancing electric scooter with 6.5" wheels. 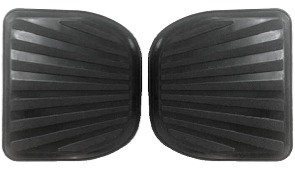 Set of two rubber foot pads for Razor® Hovertrax 1.0 self balancing electric scooter with 6.5" wheels. 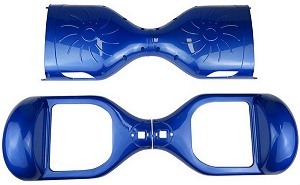 Blue replacement body for Razor® Hovertrax 1.0 self balancing electric scooter with 6.5" wheels. 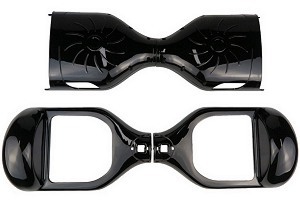 Black replacement body for Razor® Hovertrax 1.0 self balancing electric scooter with 6.5" wheels. 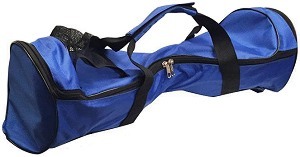 Blue zippered carry bag with external battery charger pouch for Razor® Hovertrax 1.0 self balancing electric scooter with 6.5" wheels.